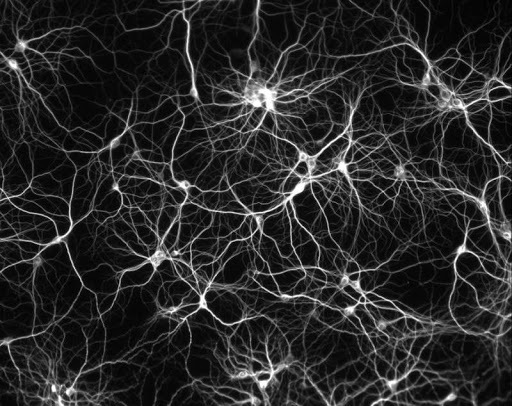 Our lab investigates the cellular and molecular mechanisms used by neurons to decode synaptic and electrical activities that propagate through neural circuits. We are particularly interested in learning how these mechanisms contribute to synaptic remodeling and to the maintenance and modifications of brain circuit connectivity. 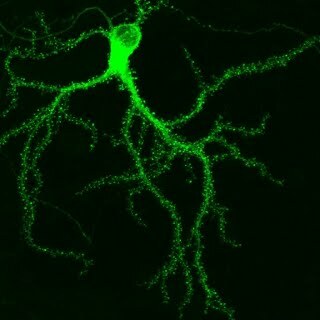 Synaptic remodelling in the brain during development and in adult life is thought to represent fundamental cellular processes of learning and memory. However, upon abnormal levels of neural activities, it can lead to severe cognitive deficits. The fine line between the mechanisms that produce constructive versus destructive changes in brain circuit connectivity is largely unknown. Our Neurophotonics research program aspires to contribute to the understanding of the fundamental mechanisms of neuronal communication, supporting learning and memory and necessary for normal cognitive functions. Several genes and proteins studies in the lab are implicated in brain diseases leading to cognitive and neurodegenerative disorders. Our lab is in the division of Cellular and Molecular Neuroscience at the CERVO Brain Research Centre. We collaborate and share equipment and facilities with several members of this division, as well as with the division of Systems Neurosciences. The mission of the CRIUSMQ is to generate new knowledge on the causes and treatments of neurological and psychiatric disorders in children, adults and the elderly. It is affiliated with Université Laval in Quebec City. Within the CERVO Brain Research Centre is located the Neurophotonics Center (https://neurophotonics.ca), a unique state-of-the-art national facility for advanced Biophotonics approaches dedicated toward the understanding of the brain, the development of diagnostics for brain disorders and phototherapy. The centre brings together a team of researchers, scientists and staff who develop and use the most innovative methods integrating neuroscience and physics. Biophotonics: Université Laval offers the first and only graduate Programs (MSc and PhD) in Biophotonics in Canada (www.biophotonics.ulaval.ca). The programs, supported by a CREATE training grant from NSERC (Training Program in Biophotonics), train students with undergraduate backgrounds in either Life sciences, physics, chemistry, or engineering. All trainees in the Program are co-supervised by mentors from both the Life Sciences and the Physical Sciences/Engineering. Several trainees in the lab are enrolled in the Biophotonics Training Program. Neuroscience: Université Laval offers MSc and PhD programs in neuroscience, covering fundamental and clinical research on the nervous system. The program offers a vast array of courses in cellular, molecular, systems and clinical neurosciences. Biochemistry: Université Laval offers MSc and PhD in Biochemistry, covering a wide range of topics, such as structure/function of proteins, genomics, proteomics, metabolomics, bio-informatics, biophysics, and cell biology and physiology. For details on the annual competition for the recruitment of outstanding graduate students at CERVO, go here: PhD@CERVO.